Our family run restaurant boasts the best view of the world famous Viktualienmarkt, located in the heart of Munich’s city center, in one of Munich’s oldest and most beautiful buildings. A top location just meters away from the Marienplatz and the Rathaus with it’s Glockenspiel. The entrance to our restaurant is opposite the Saint Peters Church (Alter Peter), which offers the best birds eye view of Munich and a breathtaking view of the surrounding Alps. We are easily reached by public transport (S-Bahn, U-Bahn and Bus) and just meters away from a parking garage. 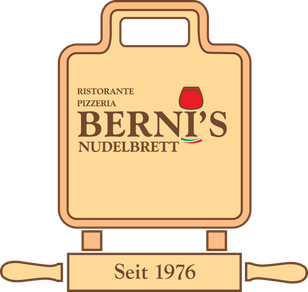 On the 15th of June 1976, we, the Berni family from Parma, northern Italy, opened up our friendly family restaurant known as Berni’s Nudelbrett. (also gluten free) with homemade sauces, offer a great selection of steak and fish, excellent wines and the best pizza in town. Our Pizza dough is prepared with a special mixture of the finest flours, yeast, water, salt and olive oil. This makes our Pizza light, healthy and easily digestible. In 2016 we celebrate 40 years of honest, authentic and healthy Italian cuisine, all served in a comfortable environment with fast and friendly service at affordable prices. We look forward to welcoming our guests from all around the world. Our menus are available in English and Russian language. Berni’s Nudelbrett – the restaurant for the entire family.